>>Prepare individual tax returns for the general public, including individual taxpayers who operate sole-proprietor businesses. >>At the completion of the course, students will be able to complete most individual non-business and small business (self-employed/Schedule C) tax returns and research tax issues. An online Instructor Resource Center (IRC), which includes an Instructor’s Workshop with hints and tips to help you operate a successful tax school, the Tax School Operator’s Manual, answer keys for all graded assignments including review and chapter questions, learning activities, quizzes, and exams. PowerPoints for the course(s) you are teaching, an electronic copy of the Student Manual, resources available to the students, and reading references. Instructors may print quizzes and exams for their live classroom students, which will require manual grading; or the instructor may opt to have students complete graded assignments online with automatic grading. Online (you are providing the academic support online): A User ID and password for each student in your kit. 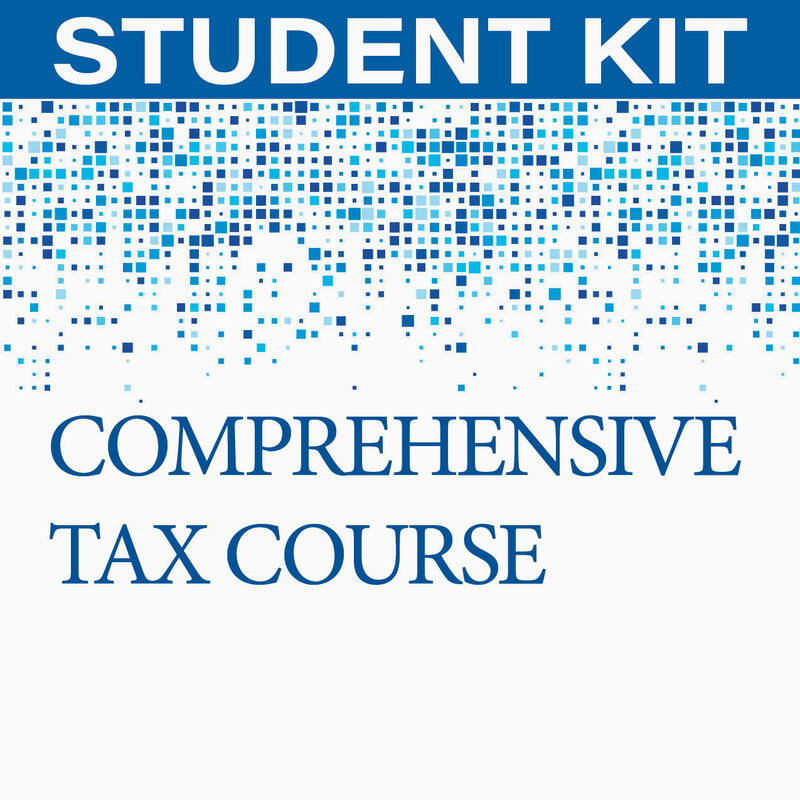 This provides access to all required course content, student resources such as IRS publications, instructions, forms, reading references, chapter study questions, learning activities, appendices, worksheets, tax law updates, and so much more. Books (you are teaching the courses face-to-face): hard copy student manuals are included. Book kits are typically purchased for FACE TO FACE classes. Online and Face to Face instructors receive an Instructor Resource Center accessible online. 6 months from date of registration to complete the course online. The material is very detailed and easy to read. I have taken several taxes courses for my Accounting degree and have breezed through the courses thanks to what I am learning with my course at The Income Tax School. The extensions are also extremely affordable (not needed, but comes in handy for busy parents and full-time employees, if need). My students used the online course this year. The only manual grading I did was for the state applications. This gave me more time to spend teaching Virginia. I have taught the course both ways and I much prefer this format. We had classroom time for interviews, real examples and review for anything the students requested. We also went over every quiz and exam in class after the students had completed them. We still met twice a week but I was able to do more than one lesson in a session. 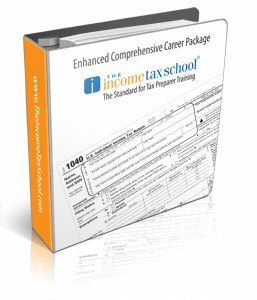 Since I started using The Income Tax School, my business has been able to have better trained employees. I was able to find new employees that I knew were competent since I had taught the course and saw how well they were doing. It enabled us to prepare for the retirement of some preparers. I know I have replacements. I have used the Income Tax school materials to train new preparers since I opened my office in 2003. They are very well organized, written in easy-to-understand language and reasonably priced. 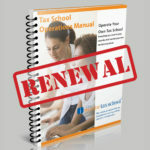 I have also used several of the operations and employee manuals which have made it much easier to operate my business. Besides the fact that I teach, your up-to-date material – on a yearly basis – provides me with the knowledge and any information I missed during tax season. Although I make money teaching others, I also teach myself. So the knowledge I gain with your detailed material is well worth it. Thanks. I used The Income Tax School’s tax preparer training module. It was great! Out of the six students who enrolled in my class, I was able to find 2 great preparers that still work for me today. Using the program, I was able to see firsthand how the students may handle doing live returns and really gauge their competency before I bring them on as an employee. As a bonus, I was able to train them the way I wanted them trained. It made for a much smoother tax season.